With the departure of the Westerdam and the Norwegian Pearl yesterday, Juneau’s 2018 cruise season has come to an end. The industry projected about 80,000 more passengers this year compared to the year before. 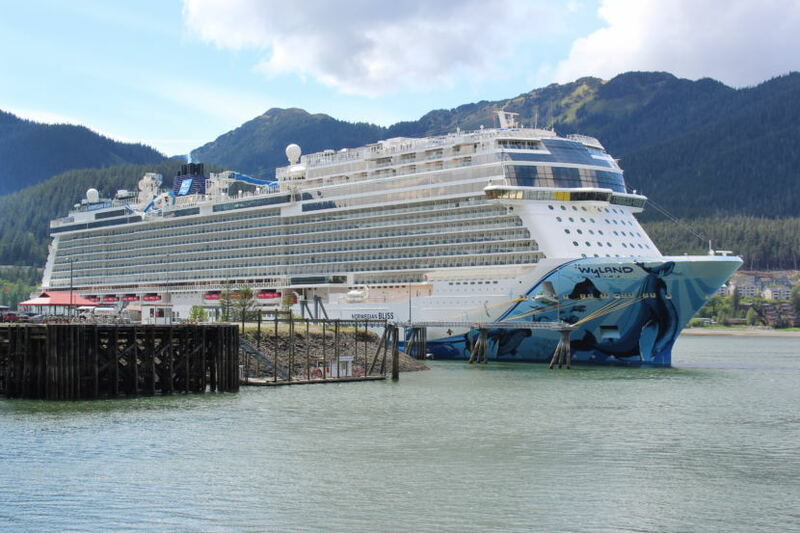 This summer also saw the arrival of the Alaska’s first mega-ship, the Norwegian Bliss. Kirby Day, the port manager for Princess Cruises and the Holland America Group in Juneau, said final industry numbers and projections for next year will likely come in the next week or two. Cam Byrnes, who works as a tour guide in the summer, testified at a Juneau Assembly meeting in September that the local tourism industry is already strained under the increased number of visitors. He said bus fleets and road capacity are maxed out. Short stays are another complaint — not enough time for passengers to do tour excursions. “Between the crowds and the shorter stays, the complaints about Juneau are increasing,” Byrnes said. “I hear them every day. The last thing we want for our city, is our guests going home and complaining about the less-than-stellar experience they got here,” Byrnes said. Byrnes also said the Bliss routinely left late due to the large number of passengers it had to load and unload each week. Day said things got easier as the season went on. Next year, several more ships like the Bliss will arrive in Southeast Alaska. Its sister ship, the Norwegian Joy, arrives next summer with a similar carrying capacity. The Royal Princess, a Princess Cruises ship, will carry around 3,500 passengers and Royal Caribbean’s Ovation of the Seas will have around 4,000.